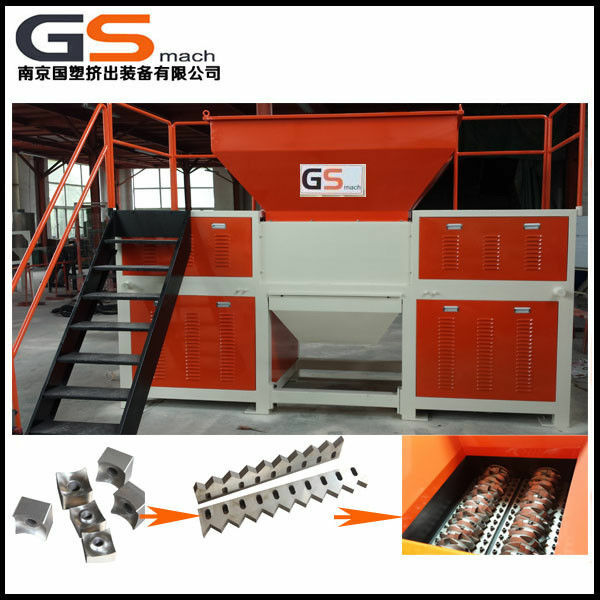 It is mainly used for crushing packing belt, tire, film, woven bag, fishing nets and other plastic waste utilization. The biaxial independent drive, unique knife shaft structure and a four angle rotary knife, in the production process of high torque in lowspeed, No shaft winding, clamping device phenomenon, improve production efficiency. 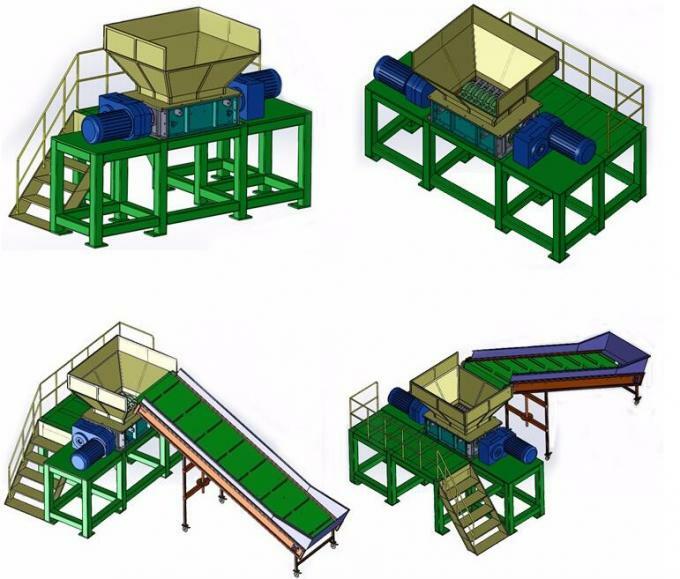 1.the machine with big feeding mouth, it can put the big plastic or rubber product freely.